As I await to meet Afra Al Dhaheri, I picture a formidable business woman, her reputation as an entrepreneur and animal activist having cast such an image in my mind. But in walks a perky young woman with a parakeet perched on her shoulder. 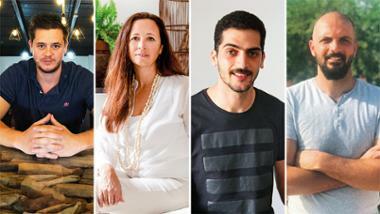 Her entry gives me an inkling of what a typical work day in the 31-year-old Emirati’s life is like. The bird isn’t amused by my company and makes screeching noises but Afra assures me that she is harmless. As we settle down for the interview, I notice that she is completely at home with ferrets, dogs, cats and even snakes. 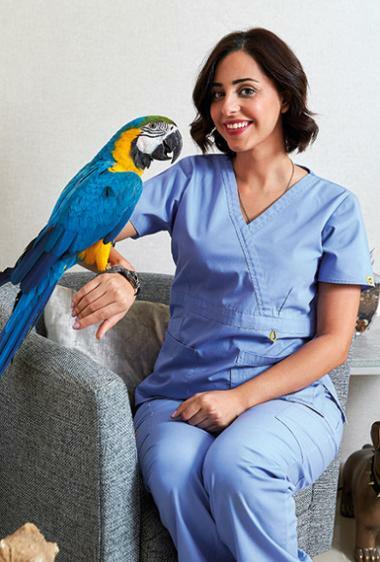 Afra is the owner and founder of Cloud9 Pet Hotel and Care in Abu Dhabi, the first luxury hotel in the emirate offering state-of-the-art care for pets. Apart from providing care she also adopts and rehomes strays and rescue animals including cats, dogs, rodents, birds, tortoises, baboons and even snakes and tarantulas. Her business meetings are mostly conducted with a ferret on her lap or a dog scampering around the place, I am told. Afra’s initial association with animals was not a pleasant one. ‘Growing up I was petrified of dogs,’ she says. But on her 20th birthday, she received a Yorkshire Terrier named Pappi as a gift and her life changed forever. ‘Pappi was the first dog I ever owned and we became inseparable. I even refused to travel with my family at the risk of leaving him alone at home,’ she recalls. So much did she come to love him and other animals, she was soon rescuing kittens from streets, feeding stray dogs and bringing all kinds of creatures home. ‘Back then there were no proper boarding facilities for animals and the few available were not satisfactory. After doing some research and visiting a few places, I realised that there was need for a place that can accommodate pets and give them the love and care they deserve when their family travelled. I did not want to leave my pet in a place where he will only be taken out for one or two toilet breaks per day,’ she says. Aided with a degree in Hotel Management, Tourism and Hospitality from the European International College, she took up a few jobs including as a cashier and admin assistant clerk. But not one to be pinned down by a regular 9 to 5 job, she decided to chart out a course of her own – build a different kind of hotel for animals that she had grown to love so much. She approached the Khalifa Fund in Abu Dhabi with a case study that included surveying more than 800 people on the need for good grooming facilities for pets. ‘After being turned down initially, I convinced the Fund that pets need to have a comfortable and stress free environment when they are not with their families,’ she says. 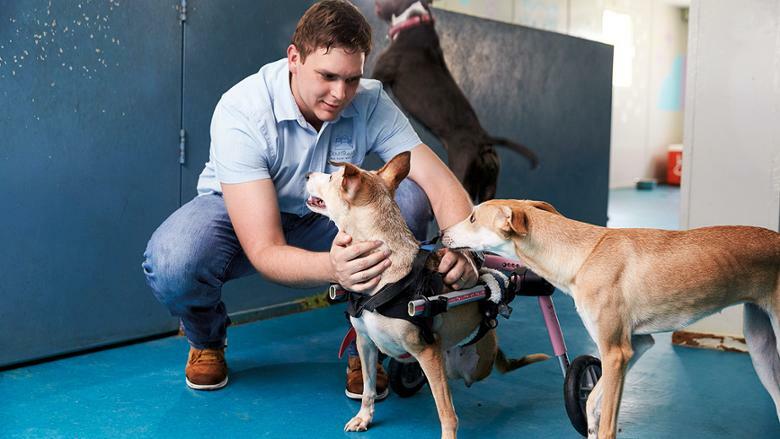 In 2012, Cloud9 opened its doors to all creatures great and small, offering boarding facilities, grooming, day-care and a veterinary clinic all under one roof, and has 47 staff including dog trainers, groomers, veterinarians and surgeon. It also offers pet relocation services for those who are coming into the country or leaving with their furry friends. The standard rate per night is Dh60 for cats and Dh70 for birds. 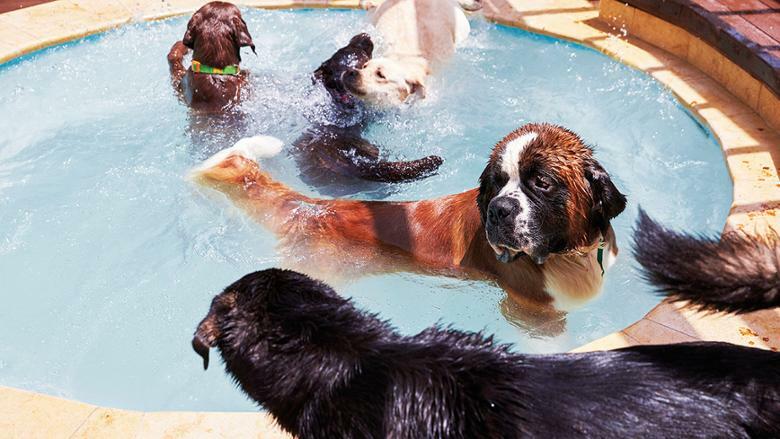 Dogs get more diverse rooms like small, standard and VIP suites. 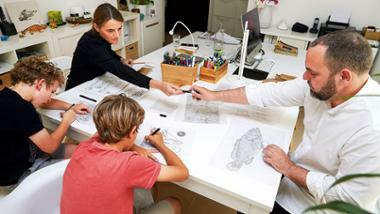 The rates are in the range of Dh110 to Dh220. 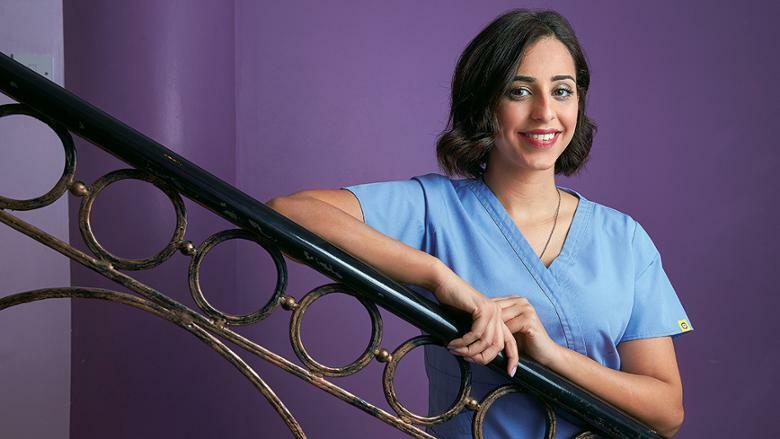 Once she got started, Afra discovered a disturbing trend. When people go on vacation or leave the country, many don’t think twice about abandoning their pets, and the domesticated creatures, lacking survival instincts in the outdoors, usually perish quickly. Some customers never come back to pick up their pets, while others dump them in front of the hotel. ‘People walk in with a rescue and try forcing us to take it in. They need to understand that when they pick up a stray it becomes their responsibility. They need to arrange their medical expenses if needed and help find them a home. We cannot be taking care of each and every stray in town,’ she says. For the countless animals she has rescued, she has spent more than Dh1 million towards their medical needs and rehoming. ‘Recently, we tried to make a list of all the animals we have rescued, but it was exhausting and we couldn’t complete it. That indicates the gravity of the problem,’ she says. Afra takes a hands-on approach in the running of the hotel and heads the rescue operations they undertake. If she’s diapering a rescued baboon one moment, she’s tending to a runover dog the next. After a rescue animal has been checked and cleared as fit to be re-homed, she advertises them on her social media platforms such as Facebook, Instagram, Twitter and Snapchat. Cloud9 arranges adoption days and fundraisers twice a month depending on the number of stray rescues they get. ‘People interested in adopting must visit us to meet the pet and undergo an intense interview. This allows us to get to know the person better and make sure that the pet will go to a loving and caring family. At times we suggest that the new owner fosters the pet before finalising the adoption. We only request the new owner to cover the mandatory medical charges, which was incurred during the pets’ stay with us. 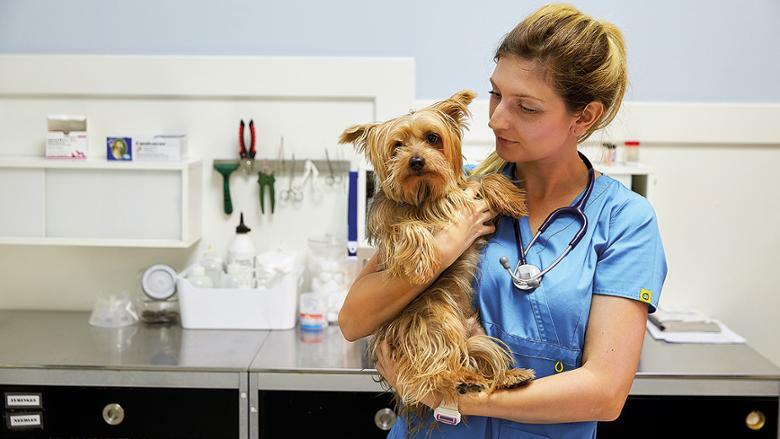 These include neutering/spaying, blood test, internal and external parasite treatment, micro chipping, and the annual vaccinations,’ she says. Cloud9 receives regular calls from people who see injured or pets in distress on the roads. She took the dog in and treated it. ‘Now she is a healthy and happy dog. We named her May since we found her in May 2018,’ she says. While Afra gives her heart and soul to the animals, they have in turn taught her a few things about life. Take April, the mix saluki for instance. Five years ago, she was found with severe injuries inflicted by her owner, which had left her partially paralysed. ‘What I have learnt from her is forgiveness. She hasn’t let her condition affect her zest to live and is the happiest dog I know,’ she says. Then there’s Skitz, the paralysed cat who was rescued by a family and brought to Afra. A set of toy wheels made the perfect wheelchair for him and he is now able to walk a few steps thanks to physiotherapy and regular exercise. 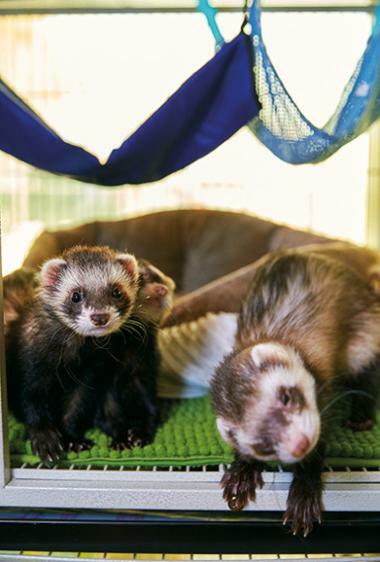 Also part of the jamboree are five ferrets, each of which was rescued separately. Of the lot, Dum Dum, was found in a pet shop, cooped up in a cage half his size. ‘He was not able to eat because his mouth and teeth were infected. But once he was treated, I could not believe how friendly he has become. He runs around and jumps all over the place. He gets along well with the other ferrets. 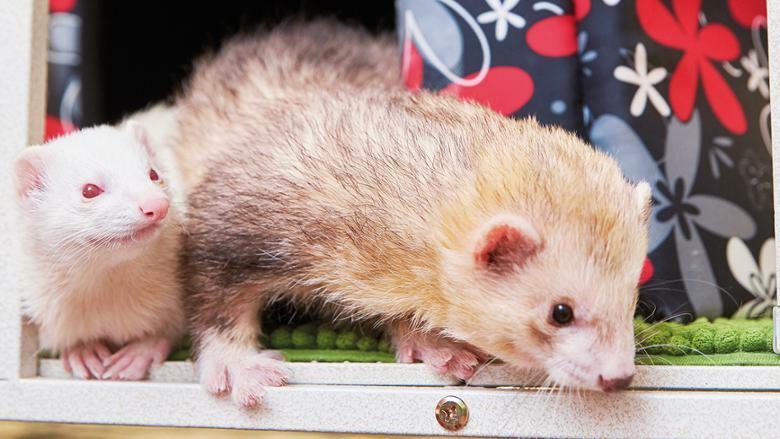 ‘Ferrets amaze me with their personality – they are a bit like a mix of a dog and a cat. They are smart, playful, social and tiny little thieves as they love to steal things and hide them. 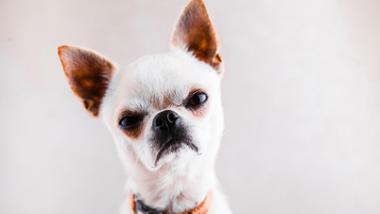 People buy them from pet shops because they look cute but then get bored so they either throw them out in the street, pass it on to a friend or even put them to sleep,’ she says. Afra’s favourite time of the day is when she opens the cage and the five ferrets run around and play with her 15 rescue cats. The pet house also boasts an avian bunch that includes two cockatoos, a macaw, four African greys and two pink galah cockatoos – all vying for attention. ‘They like to talk and make such a lot of noise that you can’t ignore them,’ she says with a laugh. Cookie, the cockatoo, was found left to die in a cardboard box, during one of Afra’s random visits to pet stores to see how the animals are faring. ‘He was featherless and fragile and I honestly didn’t think he would make it as I carried the box home. It took him almost a year to fully recover and be himself again. He shows a very grumpy attitude but he loves being picked up and talked to. He is also an escape artist who knows how to unlock his cage, climb down and walk to you whenever you are around. ‘These are my special pets and they fill up my life. I barely take days off because I miss them and feel like my day is empty without getting to see them,’ she adds. Afra is a broadcaster on an application called YouNow and has almost 200,000 followers. The main topics of discussion are how to take care of pets and animal rights. She Snapchats daily videos at work and educates people about animals. The sessions include answering medical and health care enquiries, pet products’ testing/tutorials, and information about certain animals and breeds. ‘People get to see what I do at work every day. Many have sent me videos from across the world showing me their rescues. I receive messages saying that I have helped change their thoughts on stray animals and encouraged them to help them as much as they can. The followers of my channels have come to visit me, including people from Saudi Arabia, Bahrain, Spain and Germany. Recently, Emirati social commentator Khalid Al Ameri made a video on the stray cat population in Abu Dhabi, and I was asked to give my input,’ she says. Cloud9 is planning to open another branch soon and expand their services to avian care. 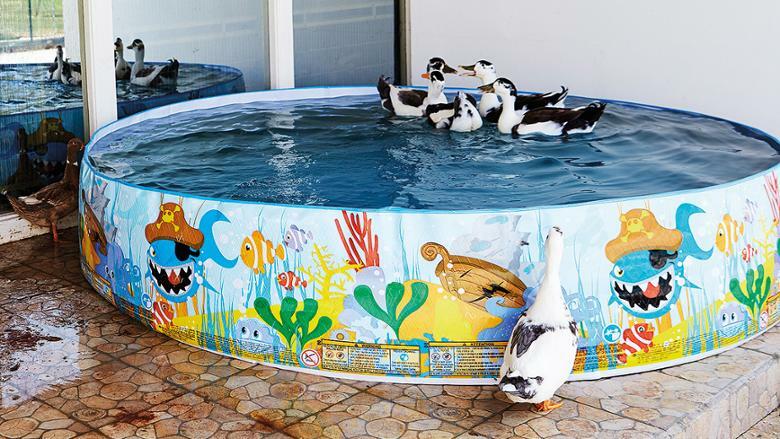 The hotel will have luxury rooms, indoor and outdoor pools and will cater to cats, dogs, rabbits, guinea pigs, birds and reptiles. A dog-training facility, which will include basic obedience and agility training, is also on the cards. Presently, they are working alongside the Civil Defence Department in Abu Dhabi on an agreement to help stray animals. ‘Whenever they require help to rescue a pet we will be there. Or if they rescue they will surrender to us instead of putting them back in the street. Once it comes into force, it will be an amazing step towards improving animal welfare in the UAE,’ says Afra. ‘I would love to be able to work alongside the government and major rescue organisations in order to help more animals. There should also be more awareness about the problems we are facing with stray and abandoned animals. People should realise that owning a pet is a big responsibility and a lifelong commitment. I believe that with the help from major organisations and the pet loving community, we can make a big difference in the UAE,’ she says.